"Leaves of Grass" has just finished principal photography and actor/director/writer Tim Blake Nelson recently released the first look at Edward Norton playing identical twins in his latest film. Leaves of Grass follows two twin brothers (Edward Norton). One is a Ivy league professor and the other is a Oklahoma marijuana farmer. When the professor is lured home by his brother the two become entrenched in a botched plan against the local druglord (Richard Dreyfuss) that could cost one of their lives. 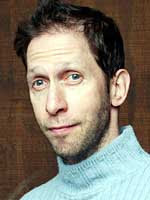 Tim Blake Nelson continuing spoke of the exploring the twins brothers who are completely different, “Edward Norton plays identical twins, and the movie pits two philosophies against one another, as depicted by the same actor. One is a rationalist, and one is a hedonist. And the movie explores those two approaches on how to live a life.” With Norton at the helm of these two clashing personalities, Leaves of Grass sounds like a great film. Lastly, Blake Nelson spoke of the tone of the film. “It’s a film whose primary purpose is to entertain; so really at the heart of it, you’re watching an extraordinary actor playing these twins. The movie is hopefully funny, unpredictable, and unique.” Blake Nelson can definately do funny, and with Edward Norton, Richard Dreyfuss, Susan Sarandon and Keri Russell Leaves of Grass should be a nice treat. Tim Blake Nelson added that he will be heading to the edit bay with the film and does not have a tenative release date set. The film looks to be heading to the film festival circuit some time next year.